Thinking your kitchen could use some spicing up? Or maybe your home office needs a vacation from the blahs? Somehow, the same old same old just isn’t cutting it. But what can you do to shake things up a little without investing a ton of time or money? The answer: think small. Small accents, like swapping out family photos and frames, adding an accent color to one wall, or updating a few well-placed throw pillows. 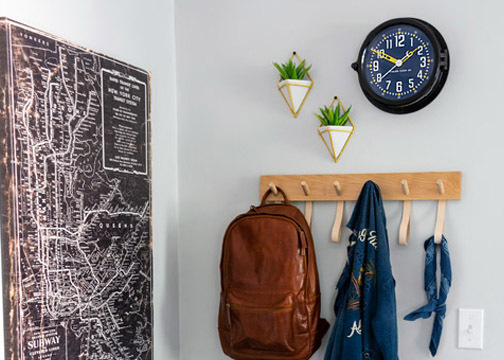 Just a few fresh, colorful additions here and there can help transform and enliven any room without breaking the bank. 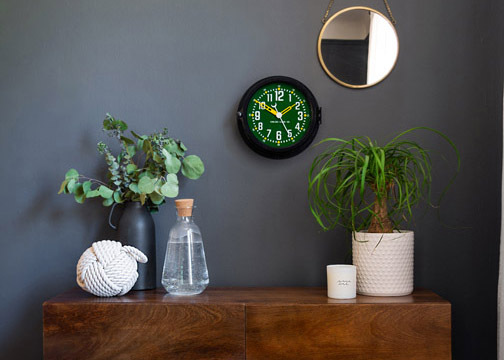 Of course, adding a clock from our brand-new Patriot Colors Collection is a great way to add a splash of color and practicality to any décor. Add a pop of color to your family room or kitchen. 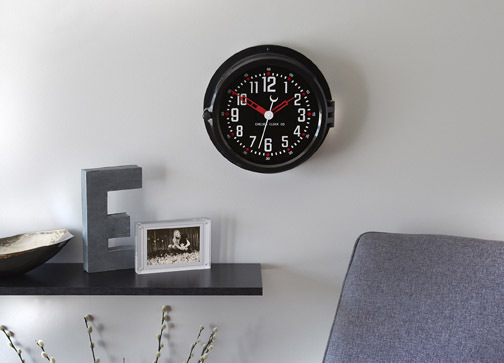 Feature one in your den or on an office bookcase. 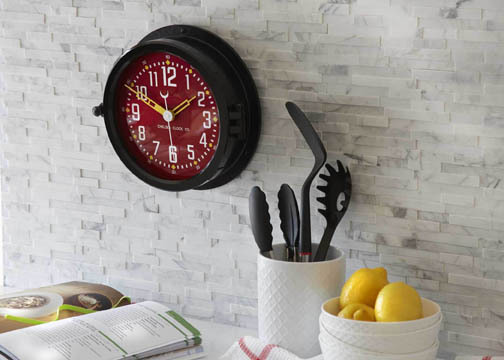 You could even add one to your patio or garage—these moisture-resistant clocks are as durable as they are fashionable. 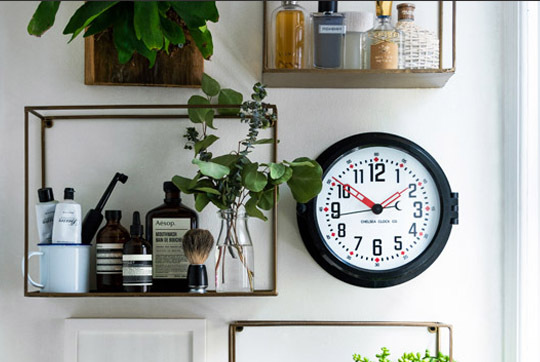 And, at under $200, they’re a great way to bring a timely refresh to any setting.